Who says you can’t have it all? Because it’s all right here with the LC-01000: cordless convenience, rugged construction, precision optics, total magnification of 40X/100X/400X/1000X, and a binocular setup that will accept optional reticles. 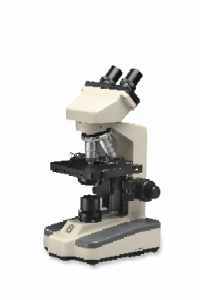 One of the best features of this binocular compound microscope is the cordless operation – a single set of included AA rechargeable nickel hydride batteries gives you between 40,000 and 50,000 hours of use. And the included battery charger allows continued use of the microscope during charging, through a standard wall plug! Not only that, but it also prevents overcharging by shutting itself off when the batteries are fully charged. Super Contrast and Plan objectives available upon request. Along with the cordless operation, the LC-01000 has some especially useful features for group settings, including the binocular head that rotates 360o, allowing quick and easy sharing between users. 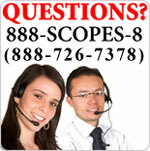 Also useful for ease of viewing by adults or children is the 45o incline of the eyepieces. The end result is a superior cordless product that’s hardly more than a budget microscope! Take a look and see for yourself that this model gives you a lot of great features for a low price. For a cordless advanced student microscope with built-in digital camera, see Microscope Depot’s SeriesB!